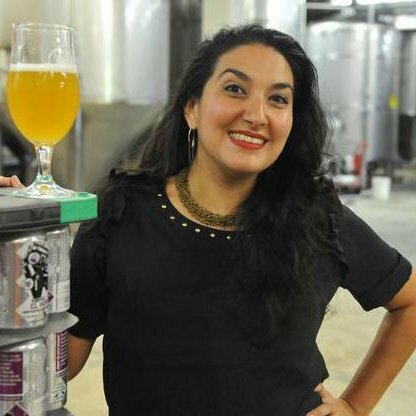 Mari Rodela is the Chief Community and Culture Officer at DC Brau Brewing Company. She is also the President of the District of Columbia Brewers’ Guild and sits on the Board of Directors for Think Local First DC. As a native of the Washington, DC Metro area, Mari is proud to be in a key role in a business that contributes to the sustainability and growth of DC’s local economy and community. She is also a major advocate and lover of all things craft beer! Prior to her work with DC Brau, Ms. Rodela served as public health community organizer, public policy analyst and advocate, and manager of programs focusing on health behavior and education. She has worked with various organizations, both governmental and community based, to develop, implement, and sustain partnerships and programs in the areas of adolescent sexual and reproductive health, mental health wellness, and violence prevention. Ms. Rodela is also an experienced and trained meetings facilitator. Throughout her career Mari has had the pleasure of facilitating strategic planning, action planning, and implementing various programs with community partners. Ms. Rodela has a Master’s degree in Social Work and a Master’s degree in Public Health from the University of Michigan in Ann Arbor. She also received a Bachelor’s of Arts degree in Social Psychology and Philosophy from Trinity University located in North East Washington, DC.